Rafael Nadal: "In Mallorca I'm just one of many"
Rafael Nadal is a tennis icon and the biggest rival of Roger Federer. On Tuesday both will meet each other in an exhibition match in Zürich. Rafael Nadal, you are very popular in Switzerland. It's a pity that you don't play here usually. Why not more often? Rafael Nadal: It is my first match here against Roger but I played in Basel in 2003 and 2004. I lost both times in the first round. You never know: Maybe I will be here again in the future. It is really exciting to play against Roger in his home country - especially for charity. That's the most important. Have you ever been in Switzerland on vacation? Can you ski or snowboarding? Rafael Nadal: No, I have never been to Switzerland to take a rest. I don't have that much free time and when you are from Mallorca it is difficult to get enthusiastic about another holiday resort. When I have retired one day I have to try to go skiing even though I will be really bad in it. You are going to play these two exhibition matches after a long season. Do you still have - or already again - energy? Rafael Nadal: I started practicing 13 days ago. So for me it is a part of the preparation for the next season. It's true that I didn't had that much vacation this year. But when I started to talk with Roger about this idea we both immediately agreed. It would be stupid to use tiredness as an excuse for these events. You help disadvantaged and handicapped people with your foundation. What do you learn from encounters with them? Rafael Nadal: That all help of the world is still too less. We live in privileged countries and are privileged people. I would feel bad if I wouldn't help. I learn from those encounters - especially a few months ago in India - that they have nothing bot are happy nevertheless. I was very impressed about this. But I want to make them more happy. Do you feel a pang of conscience because you earn so much money and live a luxury life? Rafael Nadal: When you have been to countries like India you don't give much on luxury, hotels and glamour. That's for sure. But those things have never been important for me before as well. I try to live a normal life. When you talk about a normal life: Do you have attendants in Mallorca or do you go grocery shopping alone? Rafael Nadal: Honestly said: I'm only one of many in Mallorca. And I like this. I live a normal life, have the same friends and not much has changed. Therefore I like to go home after tournaments. It's the perfect place to live. When someone is looking for me in Mallorca he will find me there. And that's the same for the rest of the world. I'm a 24 years old man who plays tennis, nothing more. Do you notice that you are well received at press conferences with this attitude? 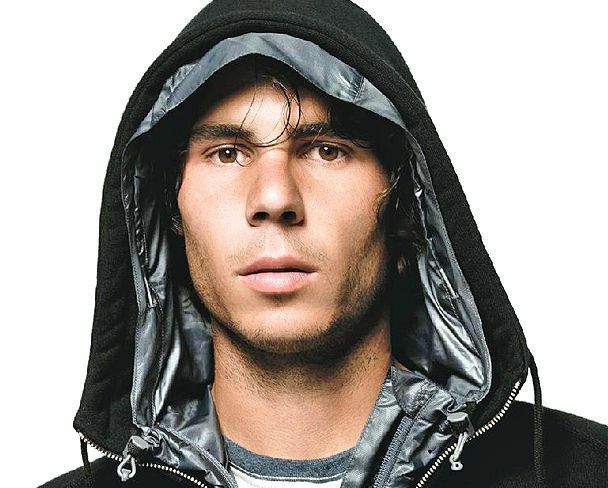 Rafael Nadal: The only thing I want is to stay loyal to myself. I want to be myself. As normal as possible. I don't want to get well received by anyone on purpose. What I say is what I think. Nobody is telling me what I have to say on a pressconference. I'm normal and honest. That's what gets you closer to the people. 2010 has been your most successful season. You even played convincingly at the World Tour Finals. Have you learned from Roger Federer to schedule your year better, to make more rests and to skip the Davis Cup? Rafael Nadal: I learned a lot from Roger during my career, without a doubt. But in this case it was my body who taught me the lesson. Many think that you can be able as the first player since Rod Laver to win the Grand Slam. Who or what can prevent you from this? Rafael Nadal: You have to make clear to the people that you don't win Grand Slams that easily. Every major tournament is a strenuous effort. The US Open in New York are the most difficult one for me. That won't be different in 2011. The conditions with the surface are quite complicated for my game. Honestly said I don't like to talk about that I aim for the Grand Slam. I live with the pressure but I do realize that such a feat is nearly impossible. Are you at the peak of your career? It would be frightening if you could get any better. Rafael Nadal: I don't know. I feel great and had an incredible year. To be honest, I don't know if I will be able to repeat it. For many people you are already a living legend. Some compare you with Roger Federer and say that you will become the best player in the history one day. Does this make you proud? Rafael Nadal: No, no. The numbers speak a clear language. It would be stupidity to say I would be better than Roger or that I could compare with him. He has 16 Grand Slam titles and I have 9. But are his numbers reachable for you? Rafael Nadal: At the moment it's too far away to think about it. I just want to get better all the time. Roger has been a role model for me because he improved his tennis over the years all the time. He never stood still even though he is meanwhile 29 years old. I don't know where I will be at this age. You are very modest and don't like it to compared with legends. Why? Rafael Nadal: Of course you like to hear it to be compared with the big players. But I have to take my racket and to prove myself all the time. Compared can be later on. You and Roger are different characters. Does something combine you beside tennis? Are you friends or mostly brand colleagues and rivals? Rafael Nadal: There is a certain language barrier between us which is difficult to bridge. You just have to look at the video in which we promote the exhibition matches. We couldn't stop laughing. Once he hears Spanish it's over with him. Roger has always been good to me and I whink what's happening with us and what we managed to do is fantastic for the sport. Tennis has definitely profited because we are there. Does the rivalry after a close match continue into the locker room? Rafael Nadal: No. The rivalry is just on the court. We both want to win. But when the match is over it would be absurd to have a bad relationship.